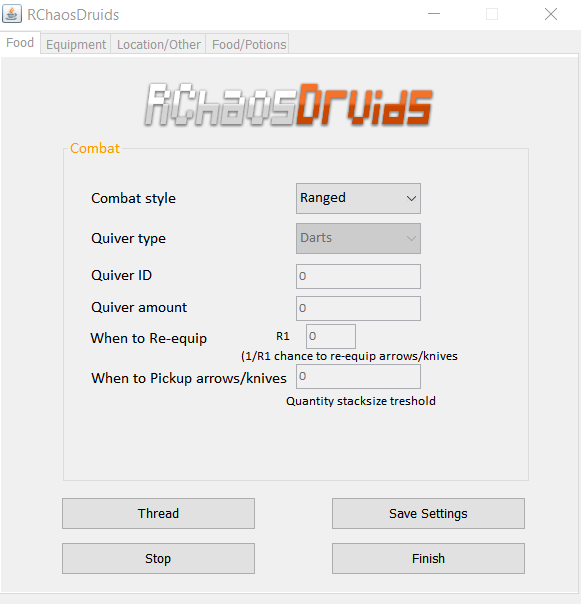 Needed a chaos druid/combat script to train my range up to 75 -> for my rev script, existing scripts weren't working so i made my own. 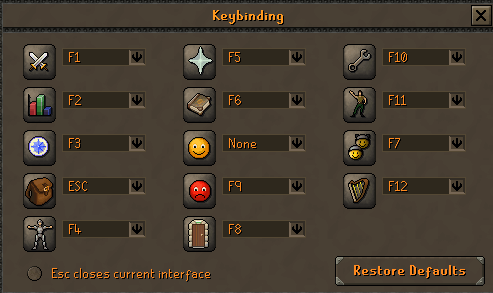 Script is still in beta-ish phase so report bugs if you notice them. 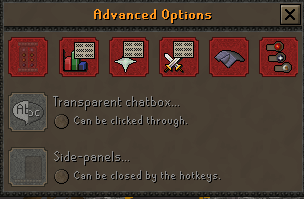 Make sure "Always hide roofs" is turned on". In addition to the existing getting aggro timer I've added a timer for counting the animations of elder chaos druids. For when example we are stuck behind an obstacle and and elder chaos druids are still interacting with us. Will push this update tonight! 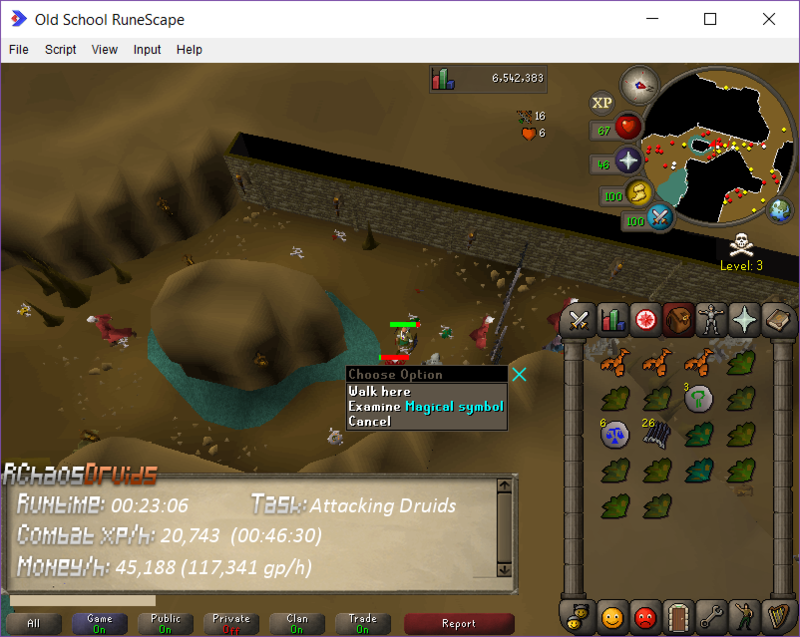 How does it cope with pkers on the elder druids? Does it run straight away? Is it a busy pk area? Is it similar to your lava dragon script in how it operates? 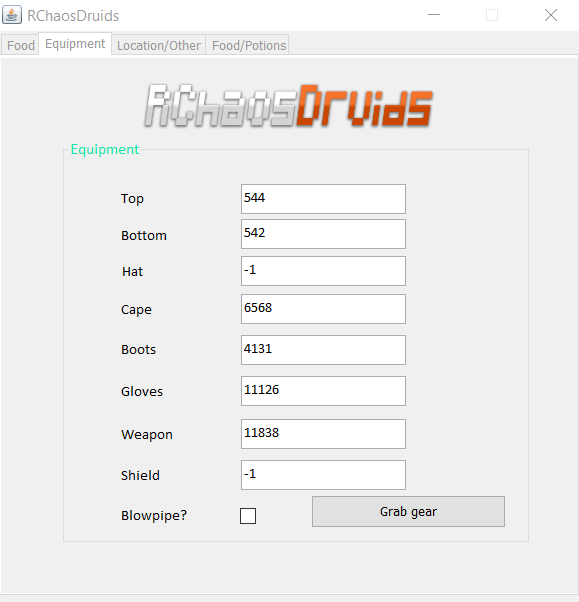 I use the elder chaos druid location myself so imo it runs pretty flawless. -> Haven't ran into any bugs. Yeah I will let you know! Is the script online (I mean the code of course)? 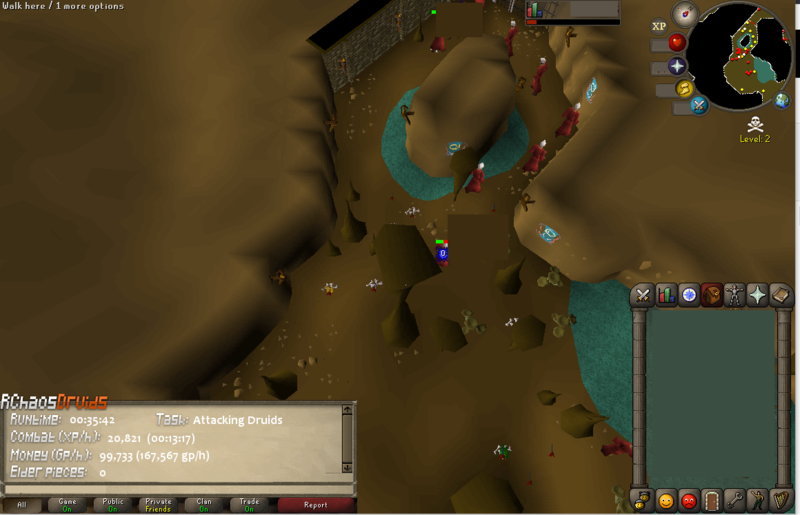 I know java but never looked into writing scripts for rs and would be really interested to have a look through it! 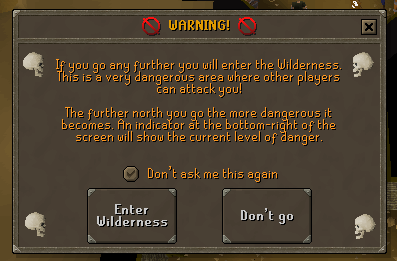 For anyone wondering how to toggle the warning, enter and reenter several times, hopping worlds to reset the warning, eventually an option will show up. It wont hop it will teleport so speed is crucial since you could get teleblocked. 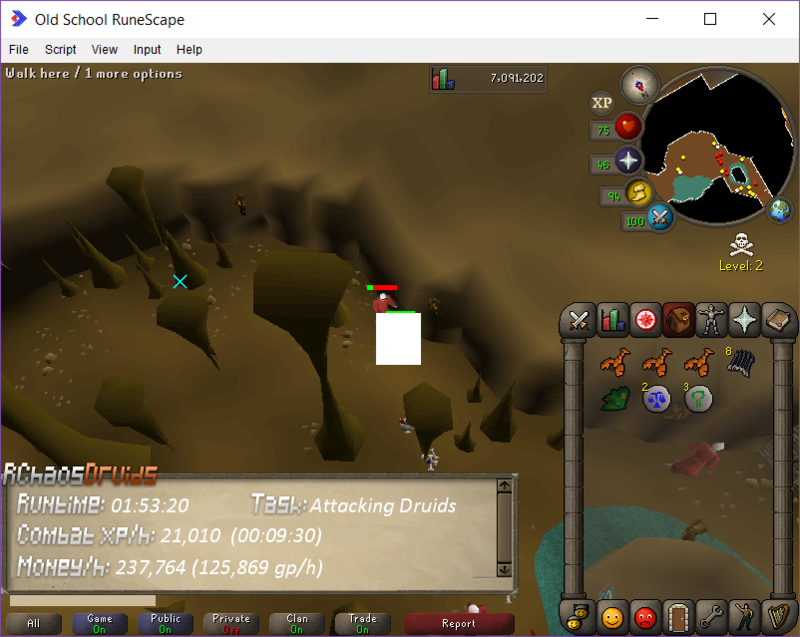 Updated the attacking method for normal chaos druids its clean now -> wont spam click first few seconds when not in combat. 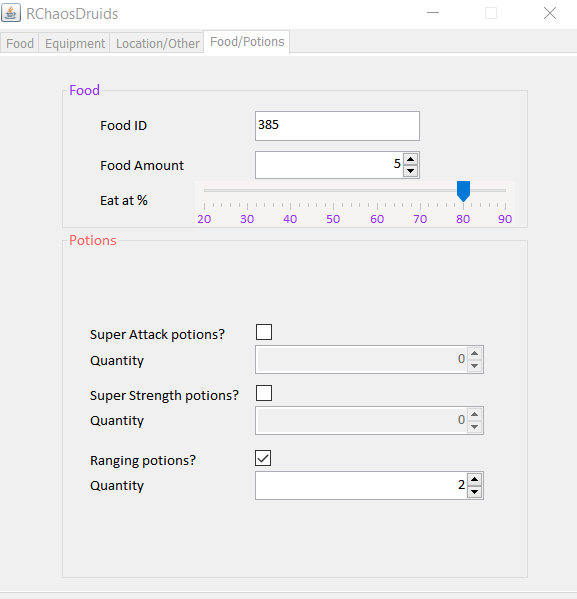 Expect potion support + organized gui very soon! I havent got discord atm but I will look into it! Really keen to learn! 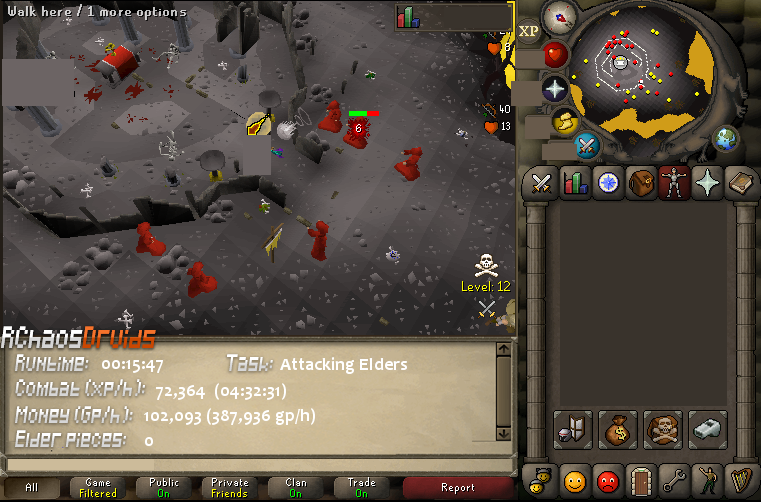 What setup do you use to maximise xp and loss on death? ok I got this working, why is it so glitchy trying to hop?